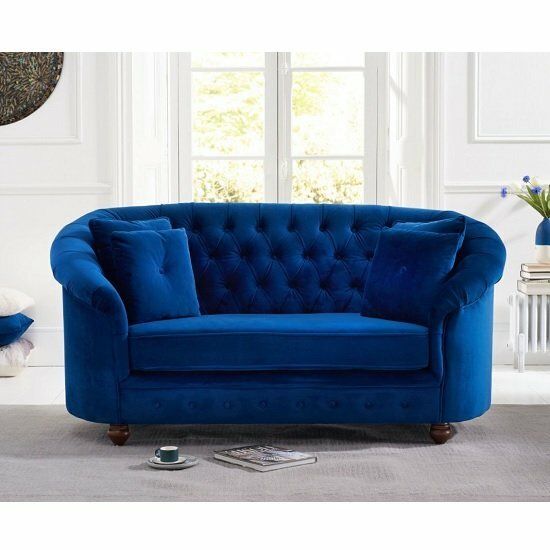 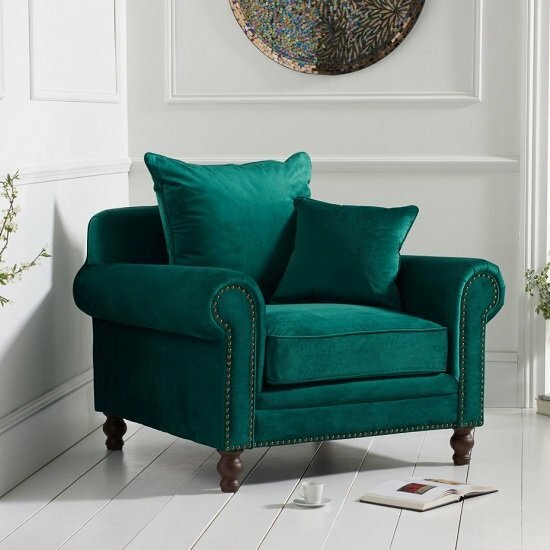 Astoria Sofa Chair In Blue Plush Fabric With Wooden Legs, fantastic looking sofa chair brings style and comfort to any living area. 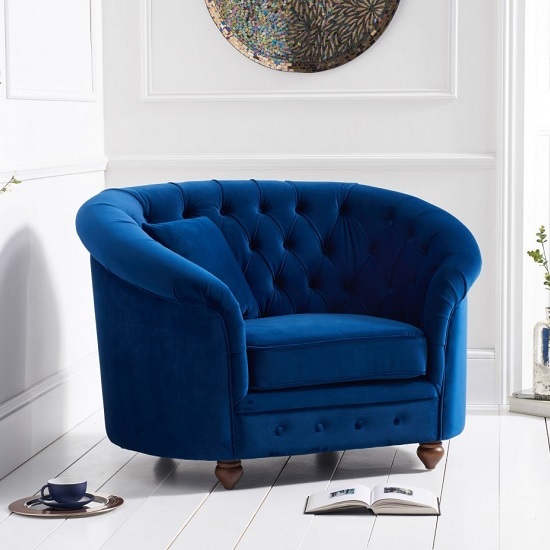 This Chair is crafted from luxurious fabric in Blue Plush with wooden legs. 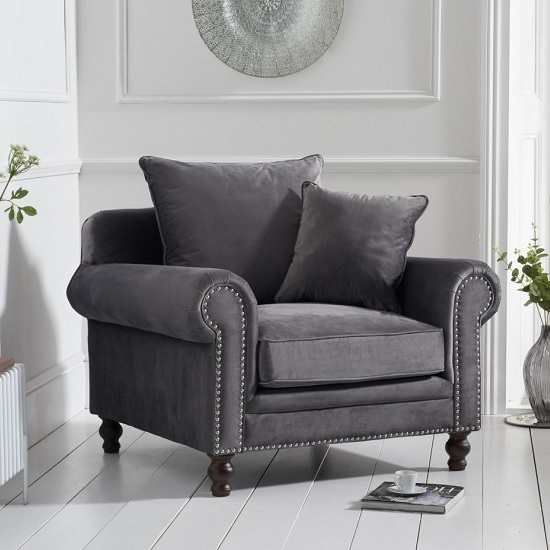 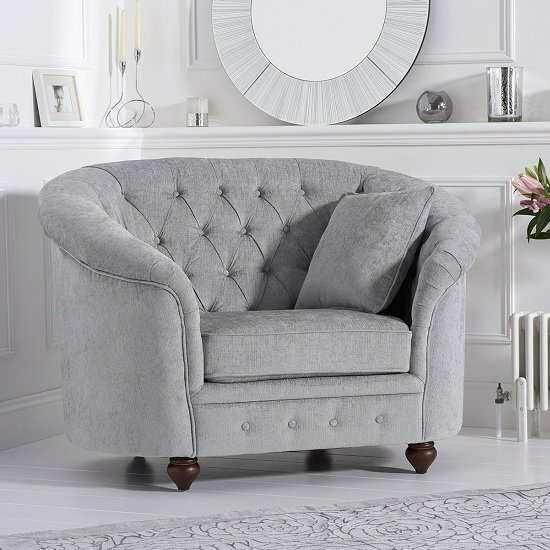 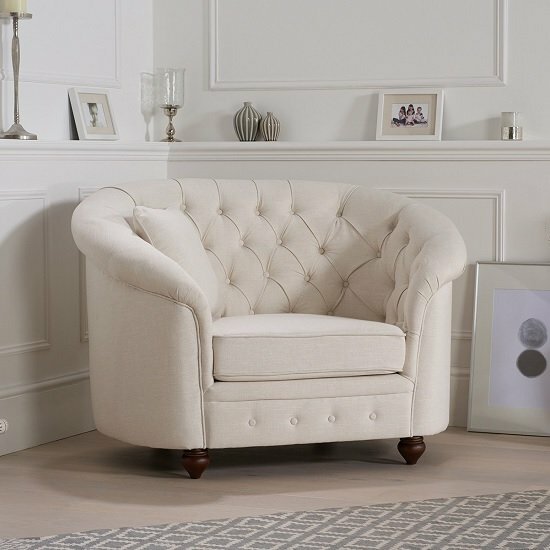 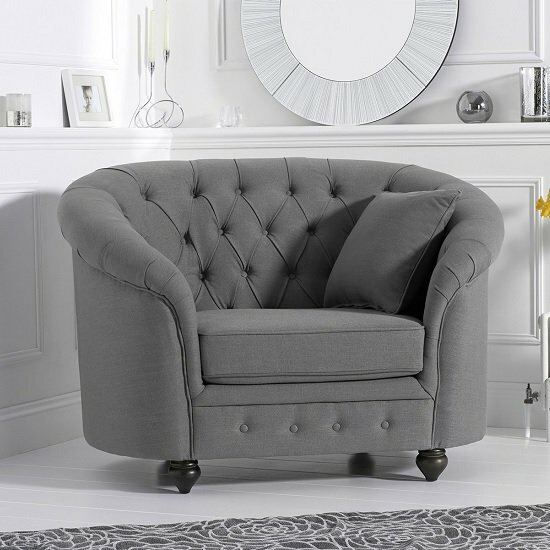 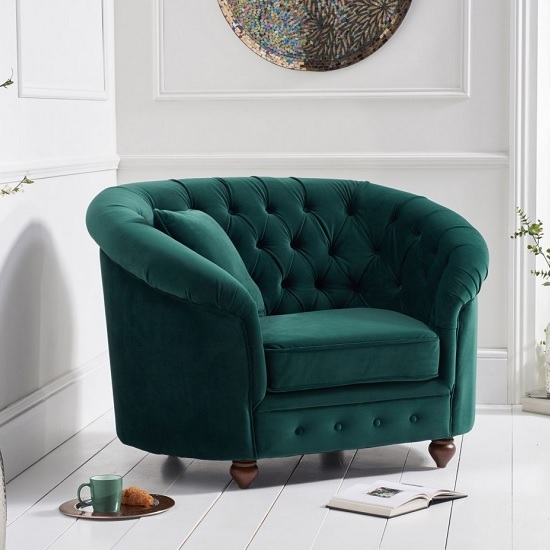 It features High back with curved arms and has deeply padded seat cushions and classic button-back gives additional comfort. 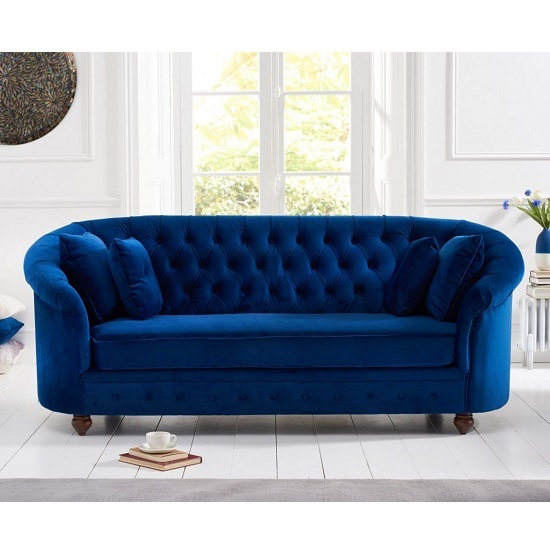 Matching 2 Seater And 3 Seater Sofas are also available. 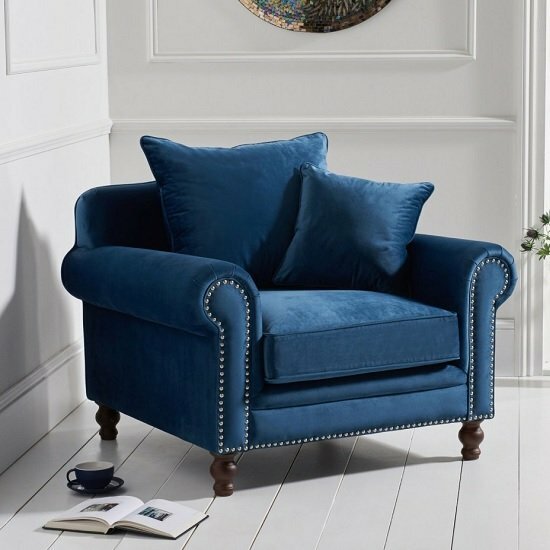 Features: Astoria Sofa Chair In Blue Plush Fabric With Wooden Legs Blue Plush Fabric Solid Ash Legs High back with arms Armchairs deeply padded seat cushions and classic button-back Matching 2 Seater And 3 Seater Sofas are also available Ideal for your living room Available at an Affordable Price Dimension: Width: 127cm Depth: 93cm Height: 89cm.